Since graduating from the University at Buffalo in 2011, Aaron has spent much of his career coming up with creative design solutions and strategies for a number of the nation’s top pediatric healthcare institutions. He has also dedicated much of his career to advancing our firm’s use of design technologies, from 3D printing and virtual and augmented reality to co-chairing our Reality Rebook Hackathon — an exploratory event looking at how interactive realities will impact the human experience. 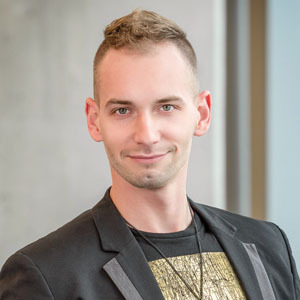 Committed to continually pushing the boundaries of creativity and design innovation, Aaron is particularly interested in researching new ways of utilizing biometrics to better understand and optimize the environments we create for the people who use them. It no longer is a surprise to anyone when we say our world is rapidly changing. We can now see different layers of society through high-level data analytics; our devices know what we want before we do and even our reality is no longer limited to a singular isolated physical or digital dimension. I strongly believe that as part of this extraordinary wave of change, the design world has an exciting and thought-provoking evolutionary journey in front of it. On this transformative journey, I am very excited to be a part of CannonDesign’s vision for breaking the bonds of what we traditionally offer the people we serve and changing the game by identifying key challenges and opportunities to provide solutions that go far beyond the conventional industry models of service.